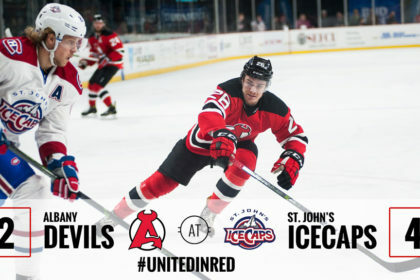 ST. JOHN’S, NL – The Albany Devils fell 4-2 to the St. John’s IceCaps Saturday at Mile One Centre. 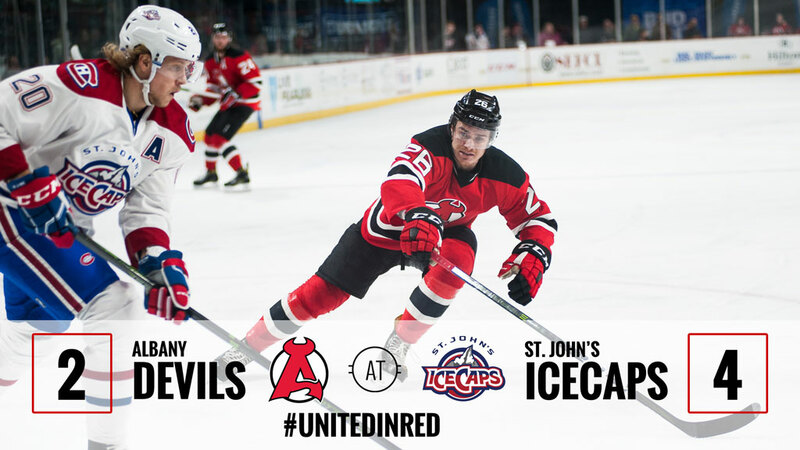 Vojtech Mozik and Ryan Kujawinski netted the two Devils goals, but the team couldn’t push past the IceCaps. 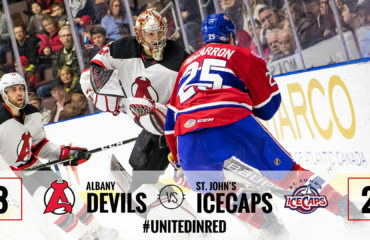 The Devils move to 23-16-1-1 while the IceCaps improve to 20-16-4-1. Mozik started the scoring just 18 seconds into the first period. 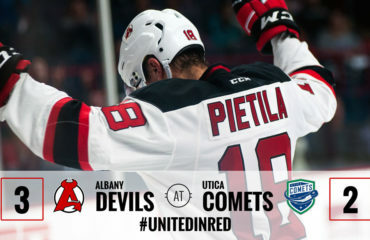 He was able to force a turnover to score the unassisted goal which marked his fifth tally of the season and was the fastest goal to start a game for the Devils this year. St. John’s Jeremy Gregoire responded at 10:31 of the first on a tip-in from a Mark MacMillan shot. Philip Samuelsson picked up the second assist. Chris Terry gave St. John’s their first lead of the night with a shorthanded breakaway goal at 15:35 of the first period. Kujawinski scored with 46 seconds remaining in the second period to tie the game at two. Nick Lappin took a short side shot and Kujawinski got the rebound at the far post for the equalizer. 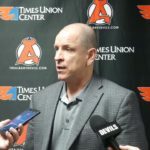 Josh Jacobs picked up the second assist. 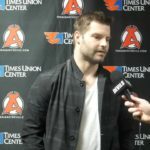 The assist marked Lappin’s first point since returning to Albany after a 35 game stint in New Jersey. 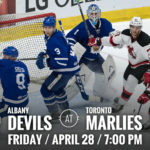 At 14:51 of the third period, Mike McCarron was able to put the IceCaps in the lead for good after he slid the puck past Devils netminder Ken Appleby during a scramble in front of the net. Charles Hudon and Chris Terry picked up the two assists. Max Friberg netted the final goal at 18:50 of regulation on an empty net. 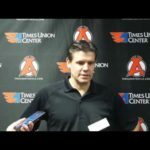 Brett Lernout and Bobby Farnham earned the assists. 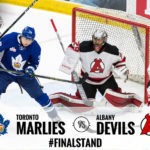 Appleby saved 15 of 18 shots and moves to 11-6-0-0. In the opposing net, Charlie Lindgren faced 28 shots, stopping 26 of them. He improves to 14-10-3-1. 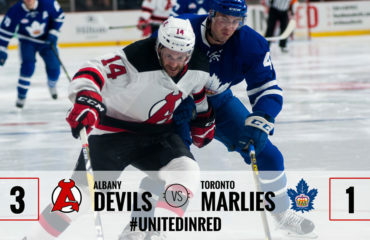 The Devils and IceCaps face off Sunday for a 2:30 pm EST puck drop at Mile One Centre.